ISMB 2020 - Mark your calendars! David Sankoff holds the Canada Research Chair in Mathematical Genomics in the Mathematics and Statistics Department at the University of Ottawa, and is cross‐appointed to the Biology Department and the School of Information Technology and Engineering. His main research interest is comparative genomics, particularly probability models, statistics and algorithms for genome rearrangements. 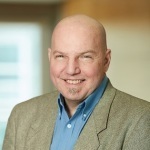 Francis Ouellette is the CEO of Orgin Bioinformatics and an associate professor at University of Toronto, Department of Cell and Systems Biology. Francis’s research focuses on system biology approaches to better under stand the biology of cancer cells. He has serves on the ISCB education committee, was a steering committee member of the GLBIO conference held in Toronto. 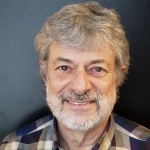 He is a long time trainer and scientific director of the Canadian Bioinformatics Workshops, hosted at bioinformatics.ca, and currently the PLOS computational Biology Education editor.